Wow!!! What a response...85 views in one day for my first post! Even if half of them are, in all likelihood, my own page views, that's still 40 something times that you guys have considered my words worth reading. D'awww... I'm all warm inside just thinking about y'all! Now that I know who I'm blogging for, on with the irrepressible baking! So, cake. It would only make sense for a cake recipe to be the first posted about here. Considering all the dreaming I've done about cake since I first entered the kitchen - a dream that will not be repressed any longer - bring on the cake!! 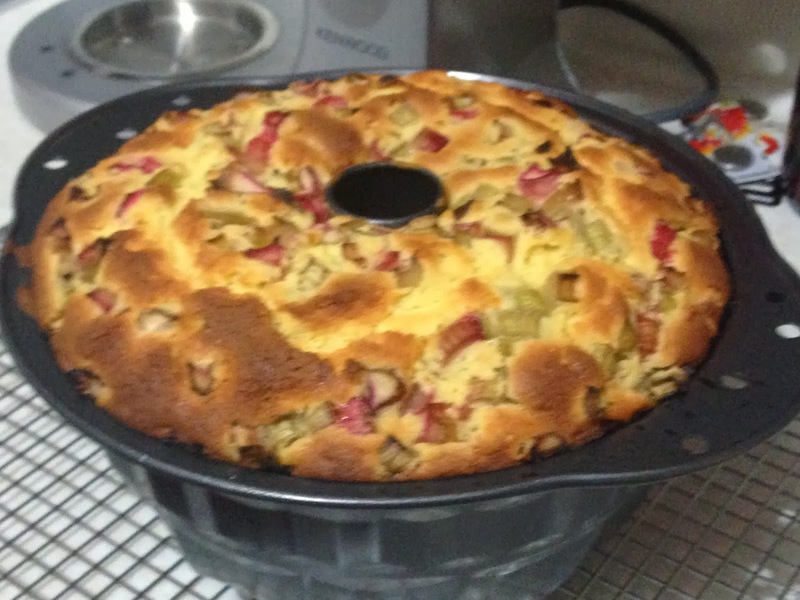 This recipe I came across while searching for a way to use all three of: my new bundt cake tin (Kiwis read: ring cake tin); leftover buttermilk; AND the copious amounts of rhubarb that our plant has produced during the really rainy days last week in Christchurch. While we benefited from the rain, my heart goes out to all those who didn't have it as good and whose earthquake damage is compounded now by flooding. The original recipe came from Hannah at honey & jam who took her inspiration from 'Rustic Fruit Desserts' by Cory Schreiber and Julie Richardson. I love the soft, spongy texture that buttermilk gives. Mine was a really yellow colour, probably because I substituted one of the eggs for two eggs yolks (meh, ya gotta use them up somehow!). I made a couple of other tweaks for my own convenience - preferring to use orange zest and juice as I had no fresh lemons. Approx. 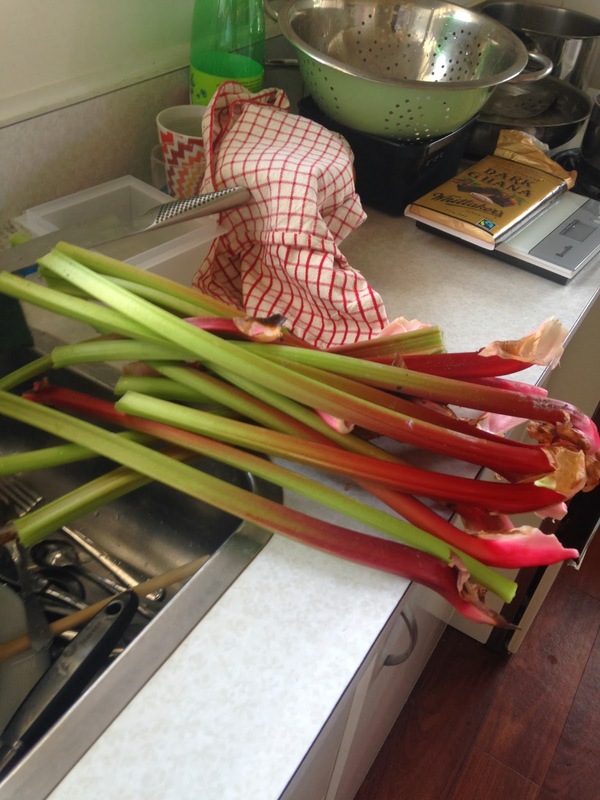 6 cups of rhubarb right there! 3 cups of rhubarb, trimmed and very thinly sliced (I like to chop up the rhubarb ahead of time and mix in with a couple of tablespoons of castor sugar, then refrigerate until needed); other seasonal fruit in the same quantity could be used - nectarines, apricots, pears; strained of juice though would be wise. Preheat oven to 180 degrees Celsius. 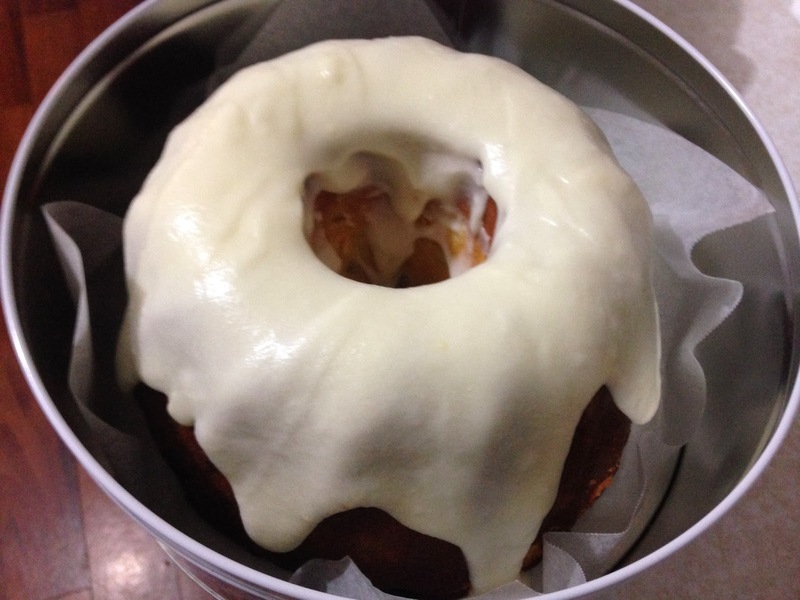 Butter or spray with oil a 10-cup bundt/ring-shaped cake tin. Sift the 2 1/2 cups flour, the baking powder and salt together in a bowl and whisk to combine. 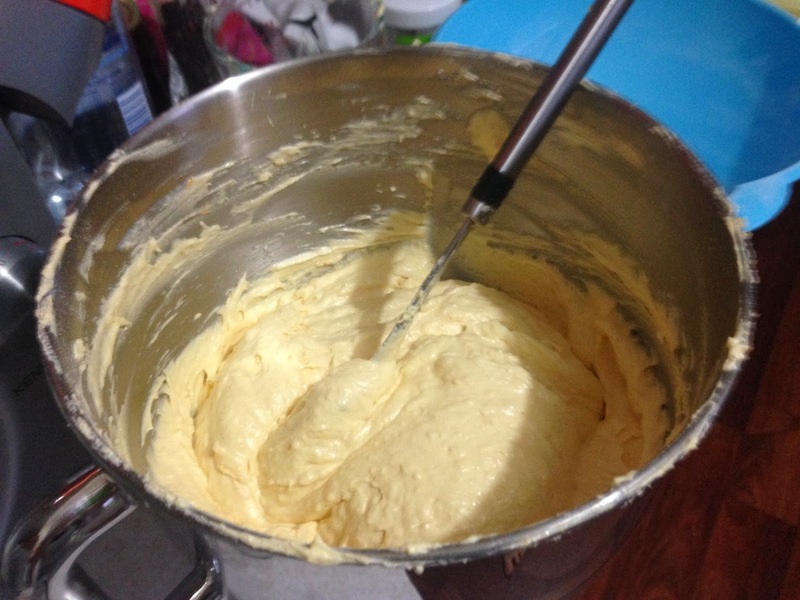 Using a handheld mixer with beaters or a cake mixer with the paddle attachment (K-paddle, if it's a Kenwood), cream the butter, sugar and lemon or orange zest together on medium-high speed for 3 to 5 minutes, until light and fluffy. Add the eggs one at a time, scraping down the sides of the bowl after each addition, then stir in the lemon or orange juice. After creaming and adding eggs, the mixture is silky smooth and glossy. Stir in the flour mixture in three additions alternating with the buttermilk in two additions, beginning and ending with the flour mixture and scraping down the sides of the bowl occasionally. The batter will be very thick. Fold [read: stir carefully with a spatula to keep the mixture aerated] about two thirds of the rhubarb into the wet mixture. 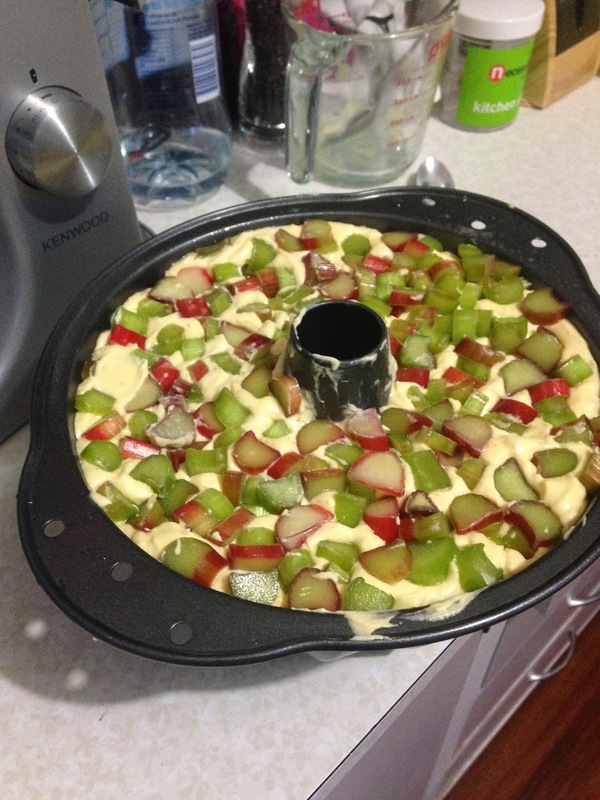 Pour the batter into the prepared pan and sprinkle the remaining rhubarb on top. I thought this step seemed silly but it worked! Bake for 30 minutes, then rotate the pan in the oven and cook for another additional 30 to 40 minutes [shorter if you're using a fan-forced oven], or until the cake closest to the centre springs back when lightly touched. 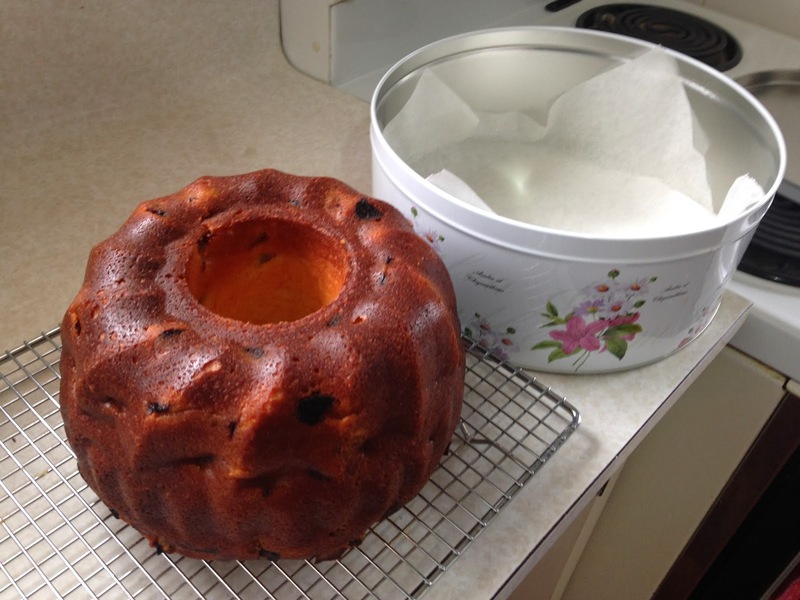 Cool the cake in its pan on the wire rack for 30 minutes before inverting and removing the pan. Voila! That doesn't look too bad, eh? 1 tablespoon nearly melted butter or margarine*To make the lemon/orange glaze, whisk the icing sugar, lemon or orange juice and butter or margarine together. The mixture should be thin enough to pour but thick enough to cling to the crumb and not to pool all around the cake. I had to add water to get it thin enough, however if yours is over-thinned, whisk in more sugar. IMPORTANT: Spread the glaze over the cake as soon as you remove it from the pan. ...but then again, I'd never say no to an iced cake! 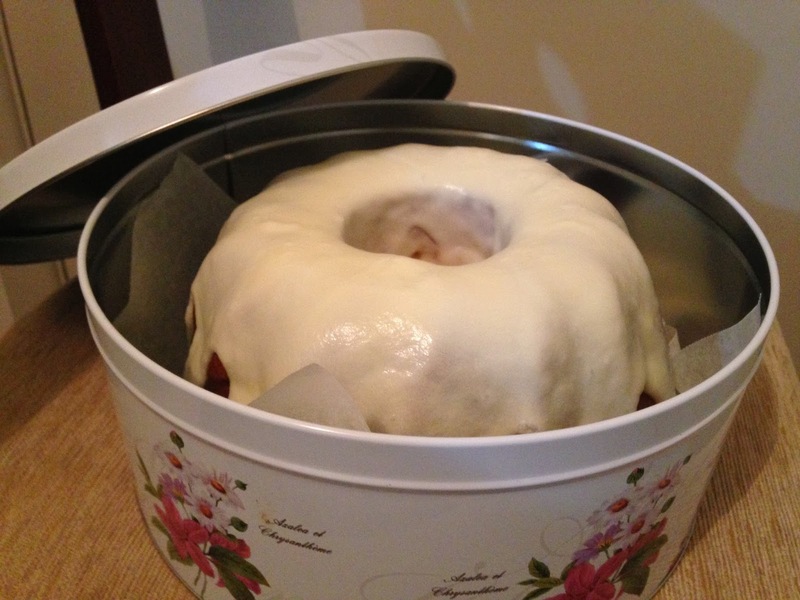 As you can see, I wanted to keep any icing mess contained so I lined a tin with baking paper and iced it in-situ. The cake looks lovely. I look forward to having a go as I've got some rhubarb to use up! 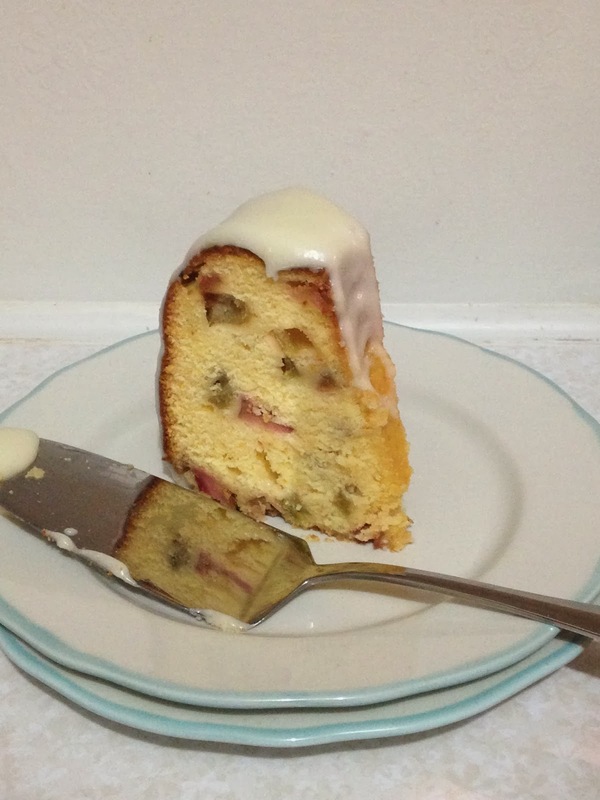 Hi Robyn :) you might see this cake again from me with all the rhubarb I have at the moment, too! Oh my goodness. I could be so ready to eat a piece with a cup of (Early Gray) tea right now. Hi Lydie :) I am agreed, it must be Earl Grey for me! I wonder how this would go with a gluten-free flour mix... if you do try it please let me know how it turns out?